Velma Ann Miller was born on July 1, 1957 to Gussie Lee Brown and George McDonald. Velma received her formal education in the Public School System of Marion County and was a graduate of North Marion High School. After furthering her education, she earned a Bachelors Degree in the field of Criminal Justice. At the age of 55 Velma accepted Christ as her personal Savior at the Church of God of Deliverance in Reddick, Florida. Velma retired after 28 years of service with Juvenile Correction where she was employed as a Counselor. She loved showering her grandchildren with love. 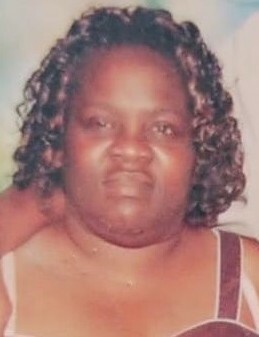 Velma was preceded in death by her parents, Gussie Lee Brown and George McDonald, her husband Winston Miller, one sister, Willie Mae Smith and one brother George McDonald, Jr.
She leaves to cherish her memory, one son, Jason (Veronica) Hardy; 4 grandchildren, Ericka Hardy, Kacionia Hardy, Janah Hardy and Jason Hardy, Jr.; one great grand, Almonii James; one sister, Carmen Mozell; two brothers, Spencer Mozell and Carlos McDonald; and one aunt, Margaret (Bernard) Manning; a host of loving nieces, nephews, cousins, other relatives and friends. Public viewing will be Friday, February 15, 2019 at Summers Funeral Home, 2238 NW 10th St, Ocala, Florida from 2:00pm until 6:00pm. Funeral Services for Mrs. Velma Ann Miller will be on Saturday, February 16, 2019 at 11:00am at New St Mary Missionary Baptist Church, 4491 NW 27th Avenue Ocala, FL 34475. Final Interment will follow at New Zion Memorial Garden, Reddick, Fl.